I've been asked by a few people to put together a list of all the vendors we used for our wedding, as well as a short review of what we thought. Our vendors were all great, so I would LOVE to share them with anyone else getting married in the DSM area. I know I appreciated having references from other people when researching. Feel free to e-mail me at glitterandgrits@aol.com if you want more details on any of these or have questions. I guess this one isn't really a vendor, but just thought I would share anyway. We got married at Gloria Dei in Urbandale by Pastor Tim Phillips. The church staff is SO great to work with. Our pre-marriage classes were with Pastor Phillips in the fall of 2011, so it was nice to get those out of the way. We also had a wedding coordinator who was super helpful with getting us all the information we needed and keeping things organized at the church. 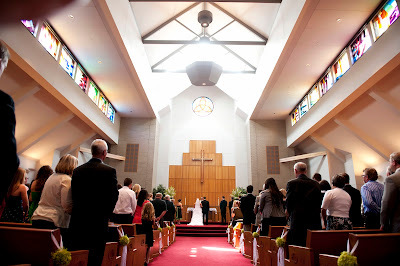 Our ceremony was perfect, and it doesn't hurt that the sanctuary is gorgeous. I found out about Bridal Connection at one of the big wedding expos in town. It is located in a little strip mall in Ankeny and you would never know it was there unless you were looking for it. 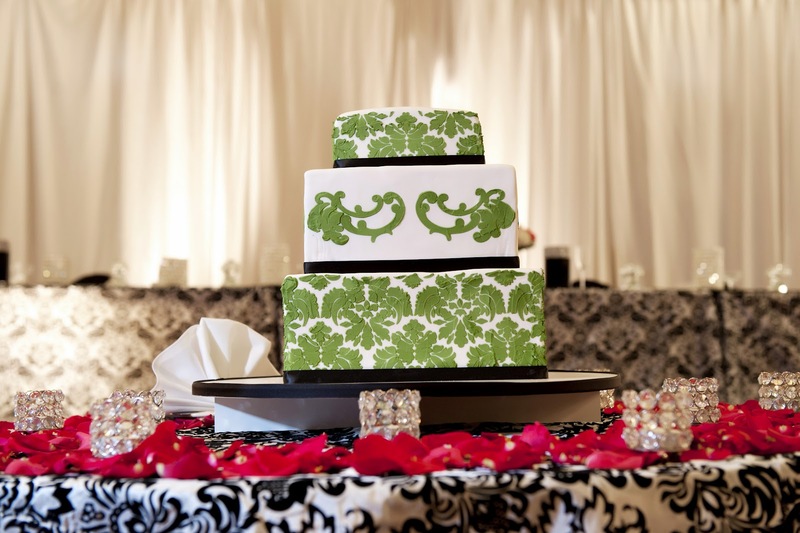 They were wonderful to work with and have many of the same designers as the bigger wedding stores in Des Moines. They were my first stop for shopping and I picked the 2nd dress I tried on. I got lucky because I was the only one in the store that day when I was shopping so it felt a little more special. The staff is great at keeping you updated and handles everything regarding fittings and alterations. I also purchased all of my bridesmaids' dresses at Bridal Connection and was very happy with those as well. 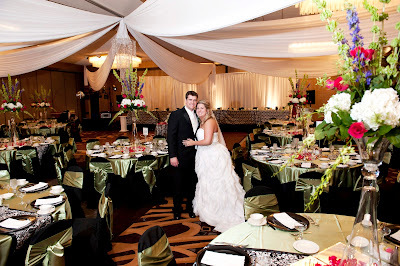 Embassy Suites was always one of my top choices for a reception venue, and after checking out a few others they definitely won out in terms of service and packages. They just completed a renovation of the guest rooms and ballroom this past winter, and it was really nice to have all new carpet, fixtures, etc for our reception. Jessica, the wedding coordinator, was amazing to work with and helped us every step of the way. We even had a private tasting with full meals of each option we wanted to try. They worked with our event design company and coordinated a lot of the logistics of decorating the day of the wedding without us even having to worry about it. Our reception was beautiful, the food was great, and we were very happy with our choice. I first spotted Fancy Pants Cupcake Co at one of the big wedding expos in town. They brought tons of mini cupcakes of every flavor you could imagine and they were delicious! I had decided right away that I wanted our guests to have cupcakes and we would have a top-tier cake to cut. We had a tasting and decided on the margarita cupcakes. Not only were they yummy, but the lime zest on top with the black cups matched our colors perfectly. I took a photo of my dream cake and they replicated it EXACTLY. I was amazed when I saw it on the table at the reception. We cut the top tier, then the bottom two were simply styrofoam layers. You would never know by just glancing at it! I cannot say enough good things about Bella Flora. I came into our first meeting with set ideas of colors and designs that I wanted. Kelly took my ideas and made them a million times better. I know nothing about flowers, so that was something I definitely needed direction with. After picking the heights, vessels and colors for the arrangements, she chose flowers that perfectly complemented the room. 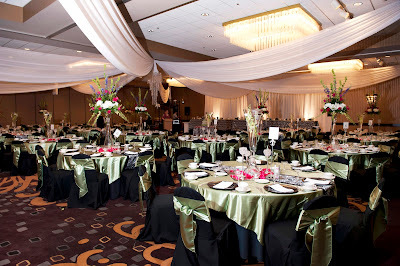 Other touches such as the ceiling draping, chandelier, and uplights around the room just added to the ambiance. Bella Flora took care of everything including chargers, candles, vases, flowers, table linens, runners, chair covers/sashes and table numbers. There is a huge variety of things to choose from in their showroom and it is a lot of fun checking it all out. It was so exciting to see our 'mock' table a few weeks before the wedding, and so great that I could always e-mail Kelly to bounce ideas around. Highly recommend Bella Flora! Paige was our awesome photographer for the big day. I loved working with her because it just felt like another friend there hanging out with us. She is so laid back and fun, and just let us do our thing without trying to force a bunch of posed photographs. One of my favorite things about her photos is that they truly capture a documentary of your wedding day. We were so thrilled when we got our photos back from Paige and saw all the little moments we didn't even realize were being captured. There are some beautiful outdoor shots as well as so many fun ones from the reception. I really loved looking through all our ceremony photos too since that part was a blur for me. Let's be honest, I really LOVED all of the photos she took. Definitely check out her website and blog, she does beautiful work!